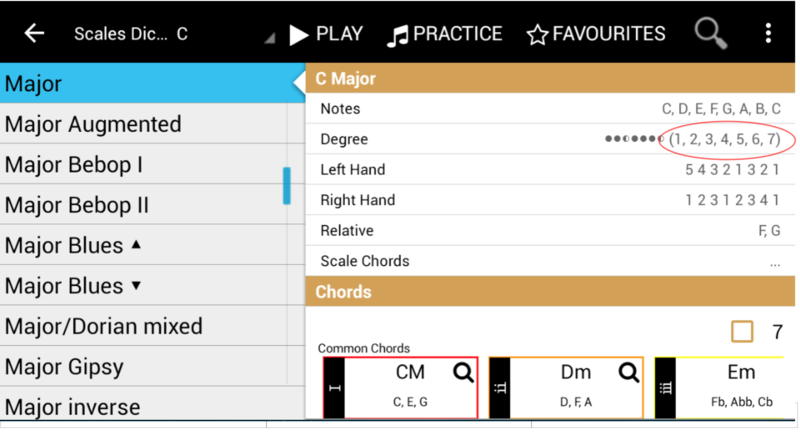 In our previous posts (Tutorial 1 – Note Names, Placement and Major Scale and Tutorial 2 – Minor Scale Construction and Introduction to “Circle Of Fifths”) we were talking about a method of constructing Major and Minor scales, as well as we’ve introduced a very handy music tool – “Circle of Fifths”. Today, we are going to introduce another very important music concept – “Scale Spelling”. With a help of that we will discover the whole new world of music scales which is far wider than Minor and Major. As everyone already knows, all notes in a scale have letters. We also know that there are 8 notes in a scale, with 7 distinct ones. Now, all notes/letters from the scale also have a corresponding number. These numbers are referred to as “scale spelling”. 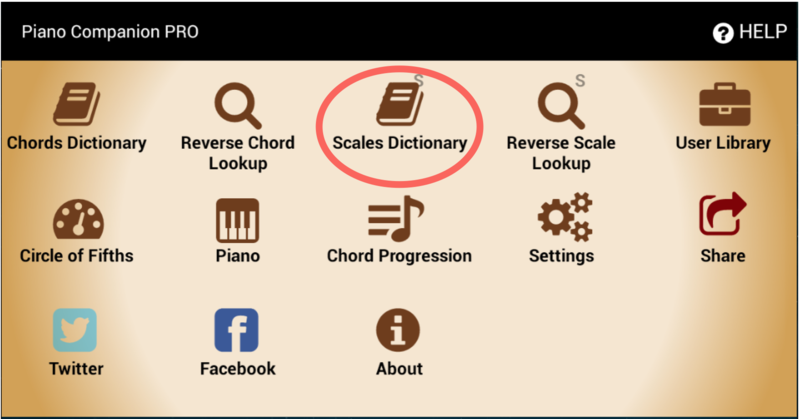 Please open a “Piano Companion” application and choose “Scales Dictionary”. By the application default settings, the first scale that you see is a Major scale. Just have a look at the numbers (1, 2, 3, 4, 5, 6, 7) – this exactly what we call a “Scale Spelling”. Let’s choose “Aeolian” (Minor) scale from the list. Can you see that the “Scale Spelling” for Aeolian scale is different from the Ionian one (Major)? As you may guess, if you chose any other scale from “Scales Dictionary” it will be different too. But let’s take a closer look at Ionian and Aeolian scale spellings. Each note of the scale has it is own number, which we always write above the note names. Let’s write a C Minor and the “Scale Spelling” for Aeolian scale above it. 1) The letters (notes) MUST always correspond to the assigned number (spelling). What does it mean? Literally, you just need to choose correct enharmonic names for your notes. For example in C Minor (Aeolian) you can’t put “D#” under the number “b3” because “D” is already referred to your second note, the number “2” of the spelling. The same applies to “Ab” and “Bb”. You can’t put “G#“ and “A#” instead. We are quite sure that this fact is very obvious, but still sometimes people can forget, so keeping this tip in mind will help not to make mistakes. 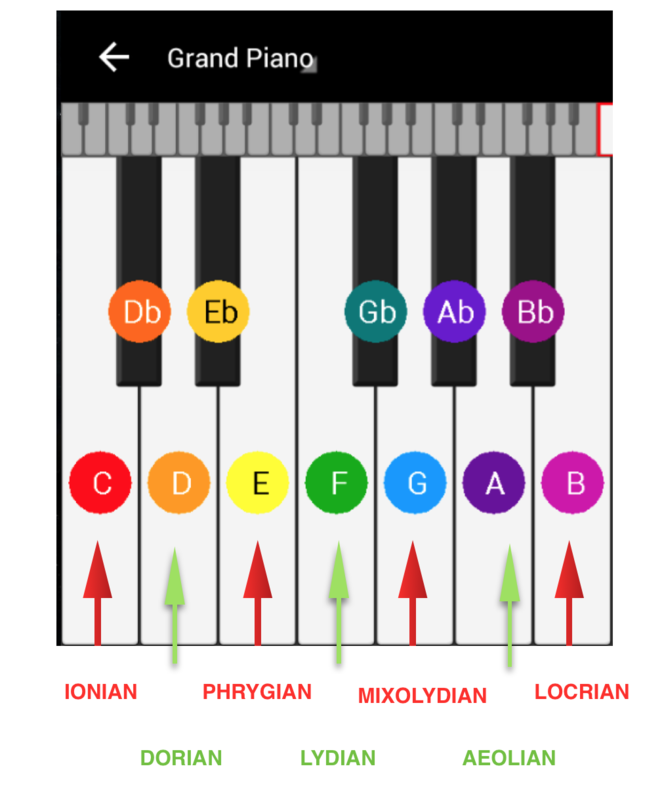 The most used scales in Popular music are Ionian, Aeolian, Mixolydian and Dorian. Less used is Lydian, because of the #4 which gives quite dissonant sound, that may feel unpleasant the ears. The most famous example of Lydian scale use, you can hear in known by everybody “Simpsons” music theme. Phrygian and Locrian are common in soundtracks and background music for Horror movies. Just have a listen, and you will understand why! These scales often used in Metal music as well. The most accurate definition of the scale family would by checking thr 3rd note of the mode. If the 3rd number of the scale spelling is flattened, then it belongs to the Minor scale family. By the way, have you noticed that there are more Minor scales than Major ones? 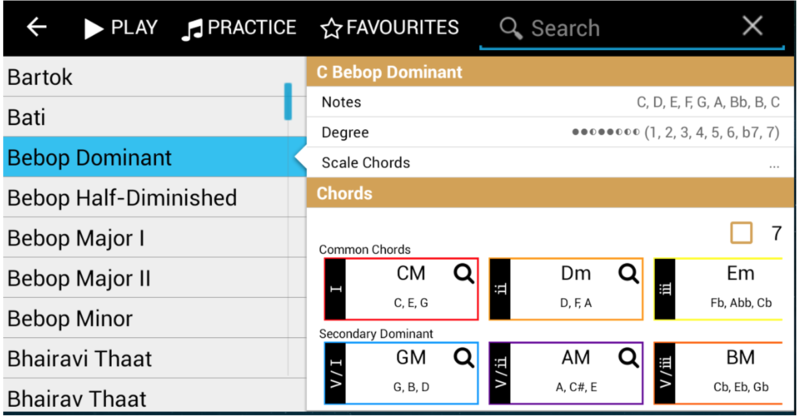 There is exactly the same thing for chords. There are more Minor chords that you can construct from the scale, than Major ones. If you have a proper look to the scale spellings of these modes (scales), you’ll see how easy it is to construct any mode you like, if simply have a scale spelling in front of your eyes. All you have to do is just to construct Ionian scale and flatten or sharpen necessary notes, according to the spelling. Isn’t that simple? It’s definitely is! We believe that we’ve shared enough information for today and there is a lot to think about and experiment with. 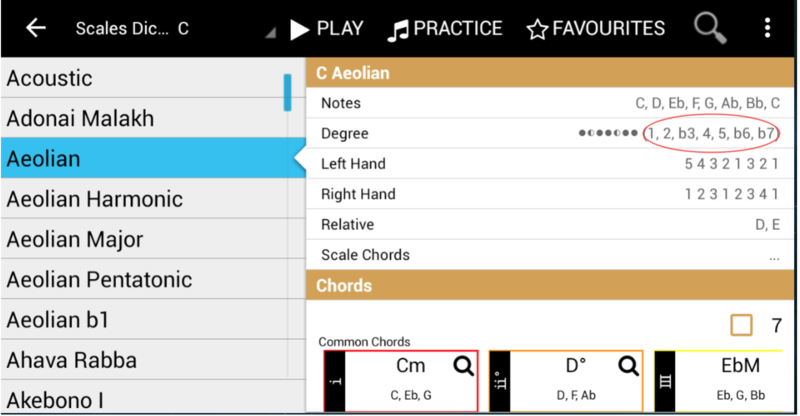 And don’t forget to check out your “Scale Dictionary” in “Piano Companion” which has so many more scales to play with! Just keep an eye on our blog and you will find so much more interesting about music.